Whether it was your charming sales pitch, your catchy marketing campaign, or your outstanding price point, you have a customer that is ready to take the leap and upgrade their Access Control System but now what? The customer may have an electronic access control system that needs an upgrade or may still be working with mechanical locks, either way, it will now fall to you to help them navigate an ever-widening sea of options. What should you recommend? You have some options when it comes to how you approach your customer’s new electronic access control system. You can go with a series of smart locks, an off-line system, or you can go all out with a networked electronic access control system. Smart locks are standalone devices that include the intelligence, reader and power source all on-board. An off-line system will allow a few devices to communicate and operates the doors they are connected to locally, without being connected to a network. A networked system will link several doors through controllers that work off a host computer. When implementing a networked system, it may be wise to suggest your customer installs a dedicated network for the system to ensure optimal performance. Your approach should depend on the customer’s needs, the size of their facility, and how much traffic goes through their doors. As mentioned above, the main difference between a connected system and an offline one is that the components of an offline system are not connected to a centralized control system on a network. Offline systems are typically more cost-effective. They may not provide some of the advanced features that connected systems do, but they come at a lower price point, and your customer will also skip the cost of investing in training and an intricate installation process. Not having the added layer of network connectivity also makes updating and expanding offline systems easier and more affordable. In your customer’s eyes, the main difference between an offline system and a connected one will be functionality. Connected systems offer a wider range of features, a greater level of control and the ability to monitor much larger spaces. These systems feature things like, remote management, detailed analytical data, and automatic alerts should someone try to access an area that they shouldn’t be in. A connected system will be a good recommendation if your customer is a college campus or the owner of a large facility. Electronic access control systems will require end users to carry some kind of credentials with them in order to gain access to the building. In other words, you need to prove who you are to unlock the door. Traditionally, proximity cards or fobs have been used to trigger a reader to send a signal to the door allowing the authorized user to enter. Newer Bluetooth Low Energy, (BLE) technology allows highly encrypted credentials to be stored on an end user’s smartphone as well. Whatever system you recommend to your customer, making sure that it is compatible with the most recent transmission technologies is a good way to future-proof the system. We are living in a connected world where the Internet of Things, (IoT) continues to makes it’s way into more and more systems every day. 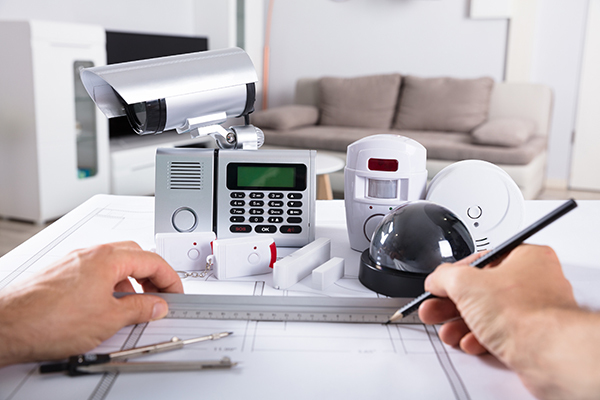 If you are going to recommend an electronic access control system, you will want to make sure that it can integrate with other systems such as building management and video surveillance. For example, with connected systems, it’s now possible to click on access control transaction data and have the corresponding video of the event pop up for viewing. Whether your customer needs such integration today, make sure they are aware of the options available with the system you recommend. 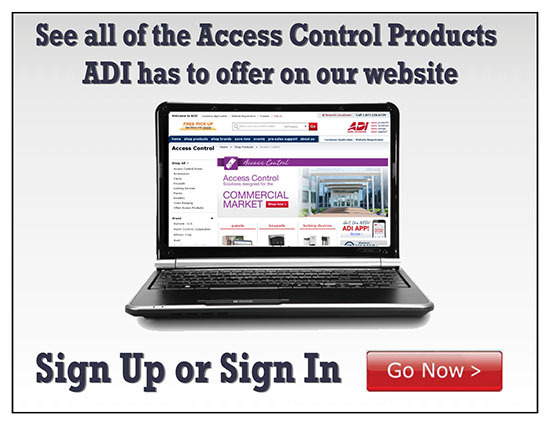 If you need any assistance building a complete Access Control system for your next project, ADI’s Systems Design and Support Team is here to help. You can contact the ADI Systems Design and Support Team at 1.800.ADI.SYS1.